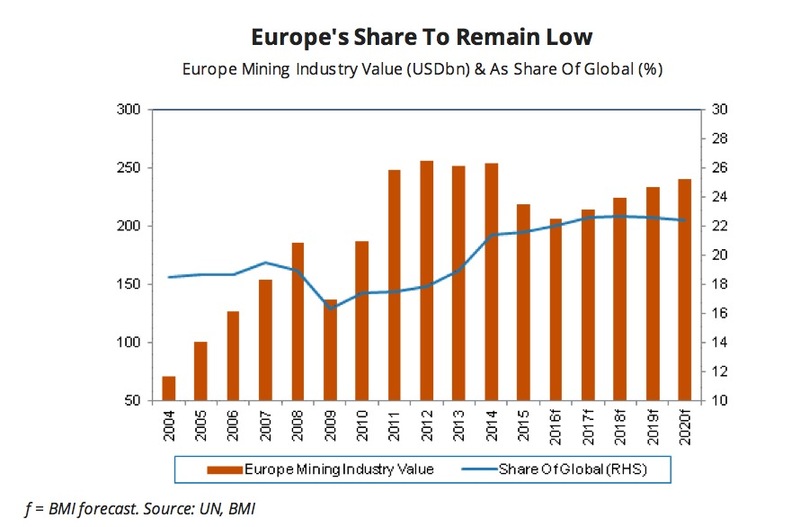 Europe’s mineral production growth will slow as low mineral prices drive further consolidation, production cuts and divestments among metals producers, according to BMI Research’s latest report. 1) Weak metals prices will result in further significant divestment of assets, output cuts and bankruptcies as mining and metals companies remain under significant stress. 2) The UK’s potential exit from the EU would significantly impact the nation’s ability to fund research to develop exploration and extraction technologies for mineral products. From a trade perspective, a Brexit will not significantly affect the UK due to the country’s wide array of export partners. 3) US dollar strength will influence trade dynamics. 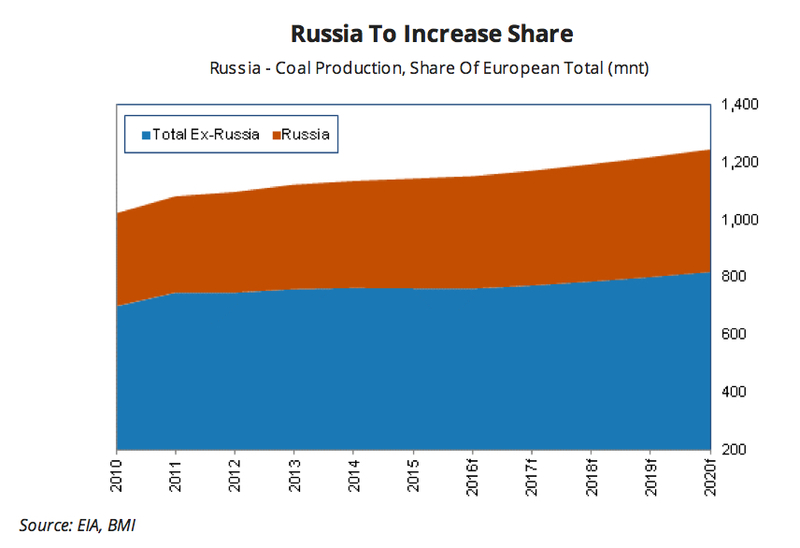 4) Russia’s coal output growth will be the regional outperformer due to supportive government investment and increasing exports to Asia. 5) Although China will remain the world’s largest rare earth producer, Greenland’s and Russia’s rare earth sectors will gain market share over the coming years. 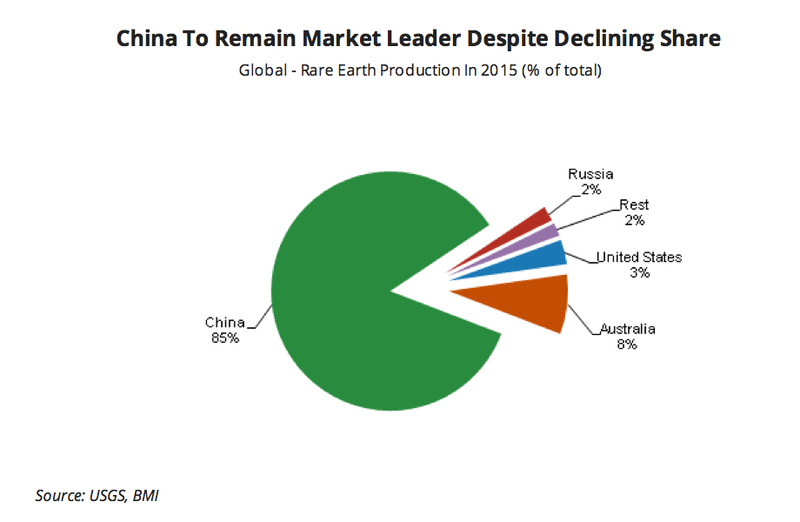 According to the report, Russia and Greenland will gain rare earth market share as a result of continuing headwinds facing the China’s rare earths industry. BMI says it expects Chinese government to tighten environmental regulations surrounding rare earth production in an effort to curb pollution.